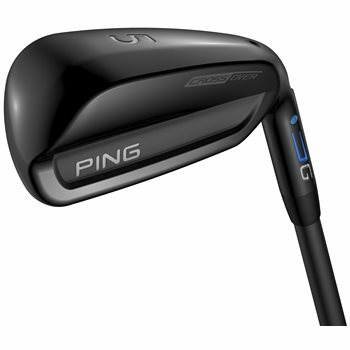 Ping''s new Crossover combines the precision, workability, and control of an iron with the speed and forgiveness of a hybrid. Don''t get this confused with a driving iron. Instead, the Crossover is far more forgiving and versatile and launches the ball higher for greater carry and stopping power. The innovative cascading internal sole engages the entire face and sole for maximum distance. Extreme heel-toe weighting helps move the center of gravity low and back and also expands the perimeter weighting to create a high moment of inertia for ultimate forgiveness. Review by Andy, 1 year ago. Review by Novice golfer, 1 year ago. Review by Kelly, 4 months ago. Review by Used clubs, 1 year ago. Do you have actual photos of the club? Unfortunately, due to the size of our inventory and multiple shipping locations, we are unable to provide pictures of the actual club. The condition rating will give you a good idea as to what to expect in regards to appearance. Is it available I left hand , stiff flex and with yellow dot?